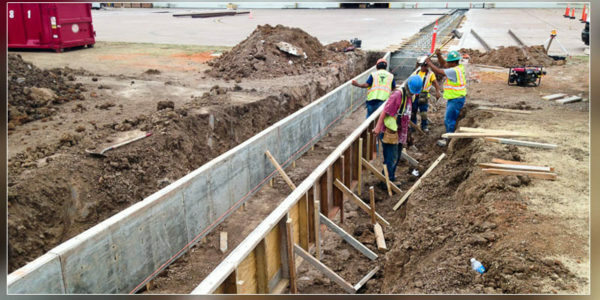 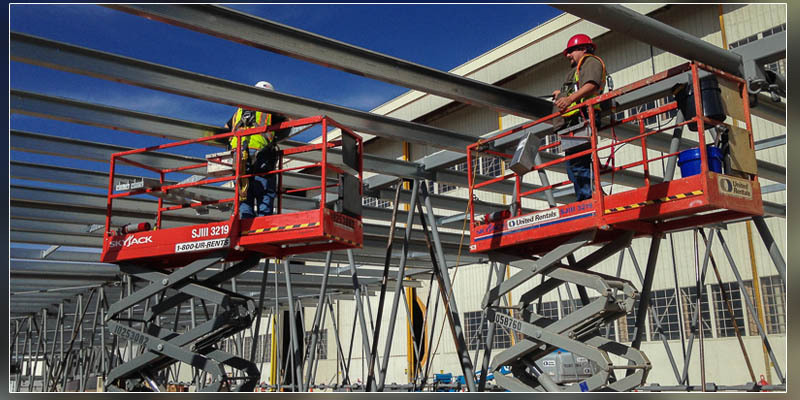 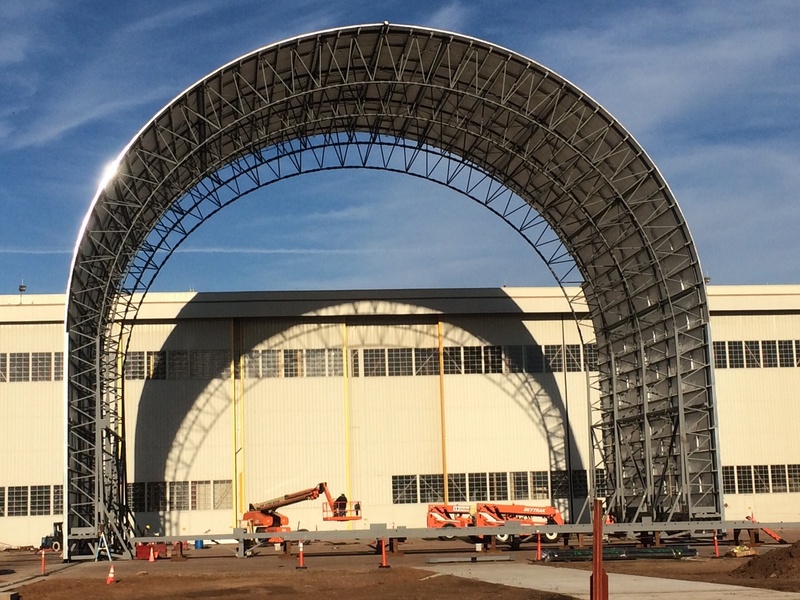 At Altus AFB in Oklahoma, CCI-CS led a project to modify Hangar 285 so it can accept KC-46 or C-17 aircraft. 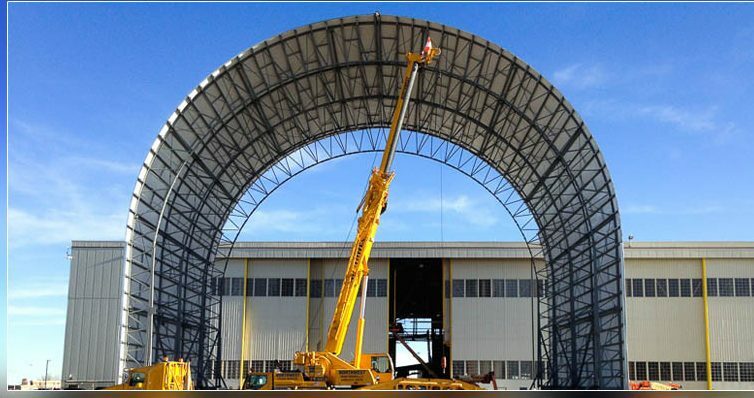 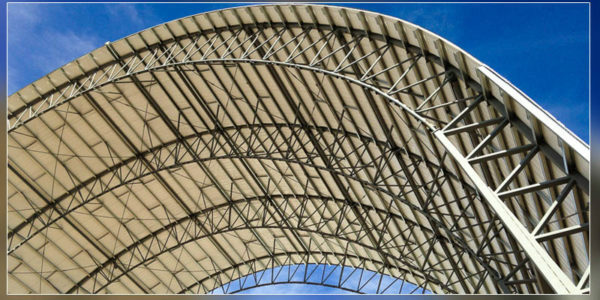 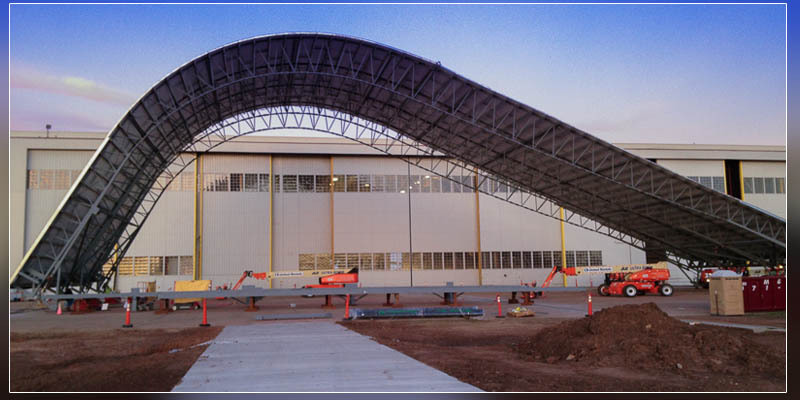 CCI and our design partners provided a mobile tail enclosure (MTE) that can be wheeled up to, or away from, the hangar doors. 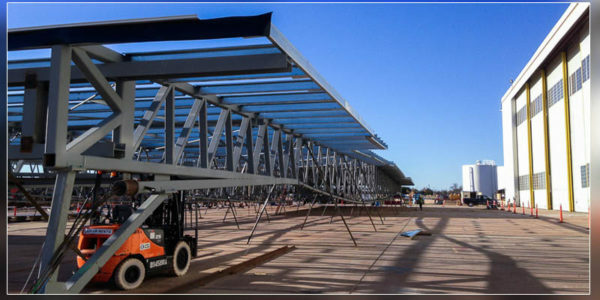 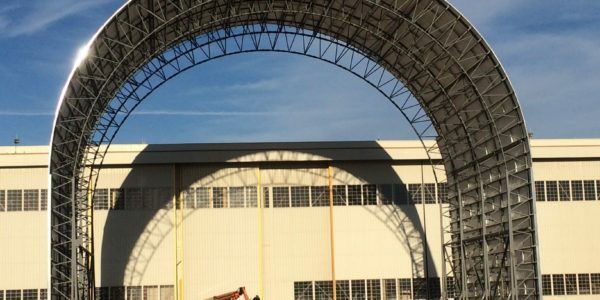 Standing about 33’ taller than the top of the hangar, the 78’ deep, 120’ wide, 99’ tall metal structure is supported by six sets of wheels on railroad tracks, and contains all of the essential systems a permanent hangar addition would have, including heat, lighting, fire suppression, and electrical outlets. 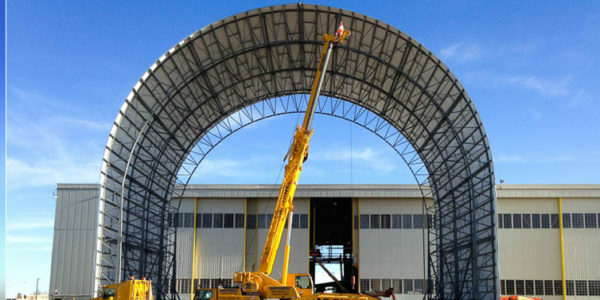 When a C-17 or KC-46 needs to be taken into or removed from the hangar, a tug is attached using the custom hitch to simply pull the MTE a few hundred feet away. 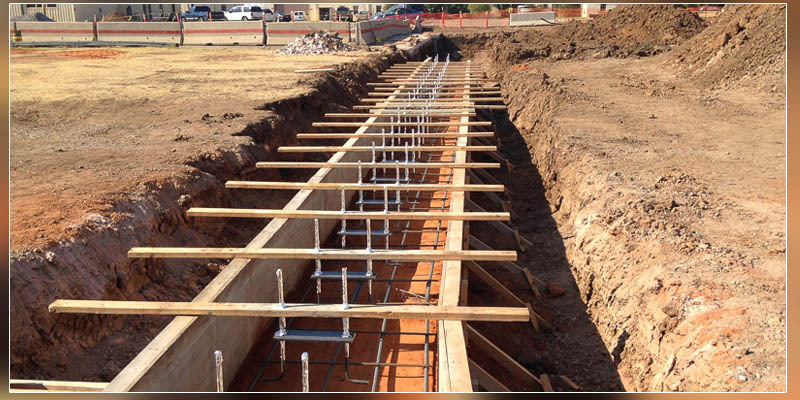 The structural steel frame with attached purlins was assembled while lying flat on the ground, and pulled up into place using tensioning cables.